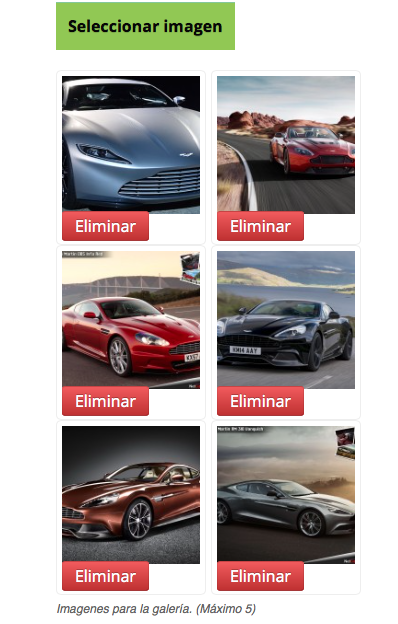 Home › Forums › Plugin Support › WP User Frontend Pro › Image gallery file limit not working. This topic contains 13 replies, has 2 voices, and was last updated by Nayem 3 years, 11 months ago. 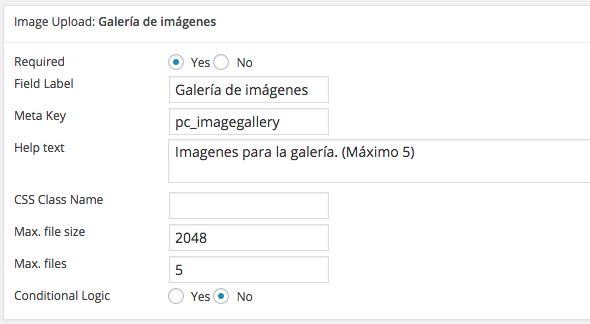 I created a form with an image gallery field. In the Max Files option I put 5. However when I try the form Im able to upload more than 5 images. Any idea of why this might be happening? I have checked in my side with the Image Upload filed and where the maximum number was set as- 5. But everything is working here fine. Please provide a screenshot here. As you can see, I can upload 6 or more files without hitting the limit, and in the form the file limit is set to 5. This happens in Safari, Chrome and Firefox. I have logged in to your site. You are using the previous version of Wp user fronted pro. Please update your plugin to the latest version which is v2.2.7. If the problem remain after this then please let me know. Can you please provide your details again?. I will check whats going wrong there. Provide your login details by using this form: http://wedevs.com/provide-login-details/. I have checked your site. The problem was with your theme. Please switch to a default theme and you will see that everything will work fine. Obviously I can't just switch to a default theme. Can't you help us debug the issue with the theme we're developing? I didnt see any errors in the firebug console. I am the developer of the theme. Thanks, we'll be looking for another plugin with more comprehensive support. Can the problem be because I have two uploaders in the same page? Allowing for 15 pictures. Maybe the second declaration is overriding the first one? The WPUF_Uploader is not saved to a variable so it might be that. You can pass that info to your developer. If you log off and try this registration page “http://publicars.codeandartifice.com/perfil/registrate/” youll be able to see that the image limit works. The topic ‘Image gallery file limit not working.’ is closed to new replies.